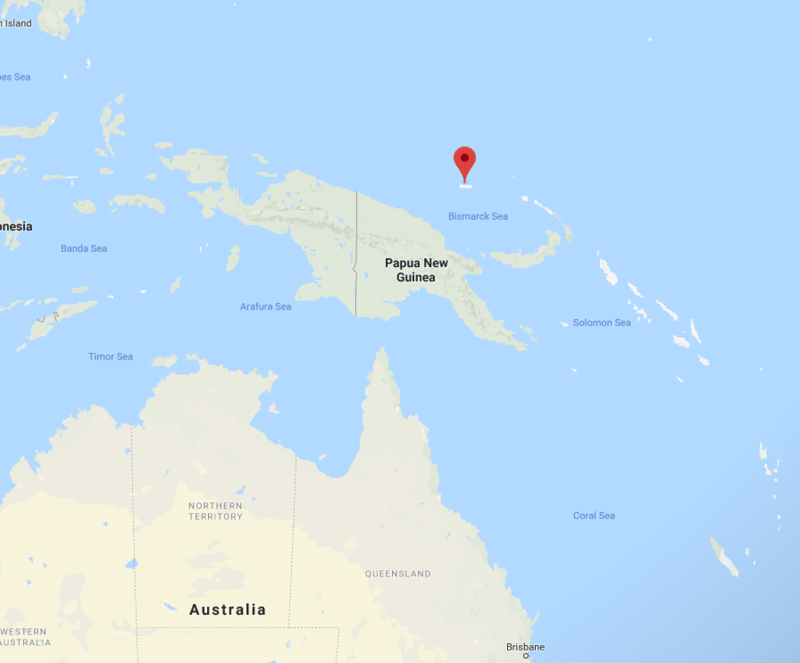 The U.S. has announced it will join an Australian effort to push back against China’s expanding presence in South East Asia with the decision join in the modernization of the Lombrum naval base at Manus in Papua New Guinea. This unlikely country has suddenly become the focus of the struggle between the Western Pacific powers and China, which has been using its soft power to increase its influence in South East Asia over the past few years. Earlier in his speech Pence warned countries about succumbing to Chinese soft power by accepting loans and infrastructure programmes: “As we’re all aware, some are offering infrastructure loans to governments across the Indo-Pacific and the wider world. Yet the terms of those loans are often opaque at best. Projects they support are often unsustainable and of poor quality. And too often, they come with strings attached and lead to staggering debt.” He said the US offers a better option. Australia has already committed $3.63 million to upgrade the wharf facilities at Lombrum – which is in a poor state of repair – and is spending a total of $29 million on defense projects in the PNG. Furthermore, Canberra is donating four new Guardian-class Pacific Patrol Boats (PPBs) to the PNG Navy as part of a program to upgrade capabilities and replace the older PPBs that were gifted as part of an earlier donation. However, Marcus Hellyer, a senior analyst at the Australian Strategic Policy Institute (ASPI) told USNI News that it is unlikely a significant development of the naval base will take place and that improvements to facilities would only happen “incrementally” and with “gradual small steps”. 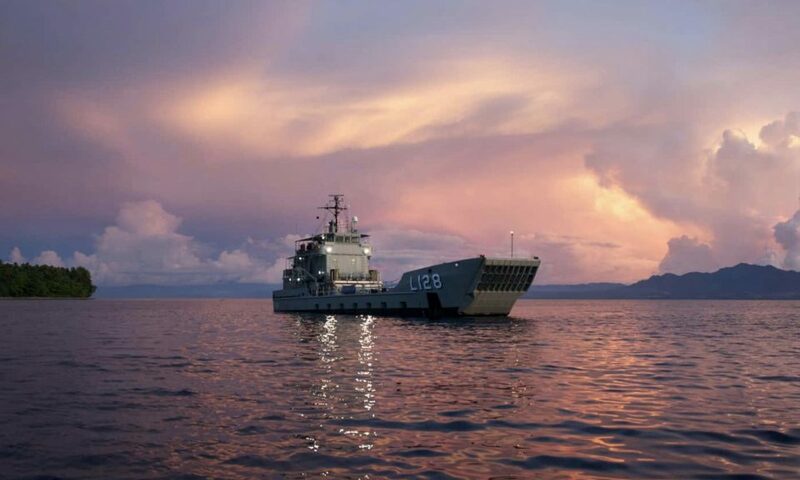 It is only a small facility that has supported constabulary missions by the PNG Navy but needs a lot of work, so any enhancements to Lombrum would initially be to ensure these can be continued to “maximize PNG naval capability”, he said. The PNG Navy operates three old PPBs that were donated by Australia in the 1980s, a fourth was retired in October. The first of the four new Guardian-class PPBs will arrive to replace it this month. Hellyer said that “the challenges is to get more sea days” out of the existing ships so it can be expected that any extension to the wharf will be to ensure that the Guardian-class can be supported. There will be “no 200m wharf” or new infrastructure to support warships like Landing Helicopter Docks (LHDs) or frigates as “that would be eye-wateringly expensive”, he added. In comparison, the re-building of a single wharf at the Royal Australian Navy’s Fleet Base East in Garden Island, Sydney to support the Air Warfare Destroyer and LHDs is costing A$200 million. To host major surface combatants also requires a huge refueling station, storage capacity and special ammunition storage infrastructure. This is far in excess of the sum offered by Australia and something that the PNG government is unlikely to sign up to anyway. 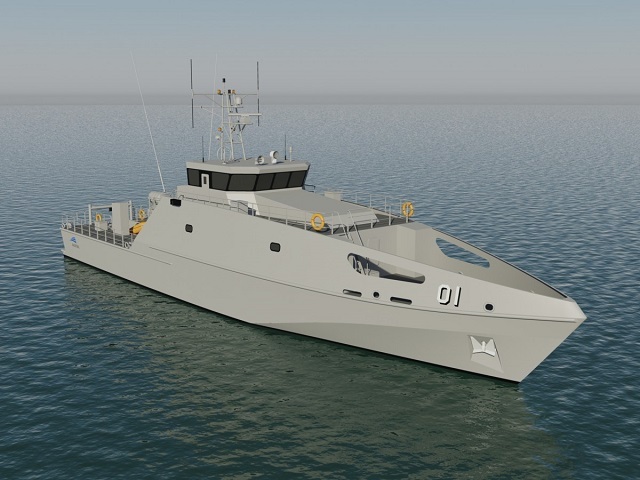 The Guardian-class PPBs are being built by Austal under Australia’s SEA 3036 PPB replacement (PPB-R) programme under which 21 boats are being donated to 12 countries under the Pacific Maritime Security Program (PMSP). The first vessel, Ted Diro, was launched in May and started sea trials in August in preparation for delivery to PNG with following deliveries expected every three months from 2018 to 2023. The new PPBs are 130 feet long, 26 feet wide and 8 foot draft with space for 23 personnel and a range 3,000 nautical miles at 12 knots and a top speed of 20 knots. They are fitted with military grade communications and navigations systems, a single RHIB and there is space on the foredeck for a naval gun system if required. 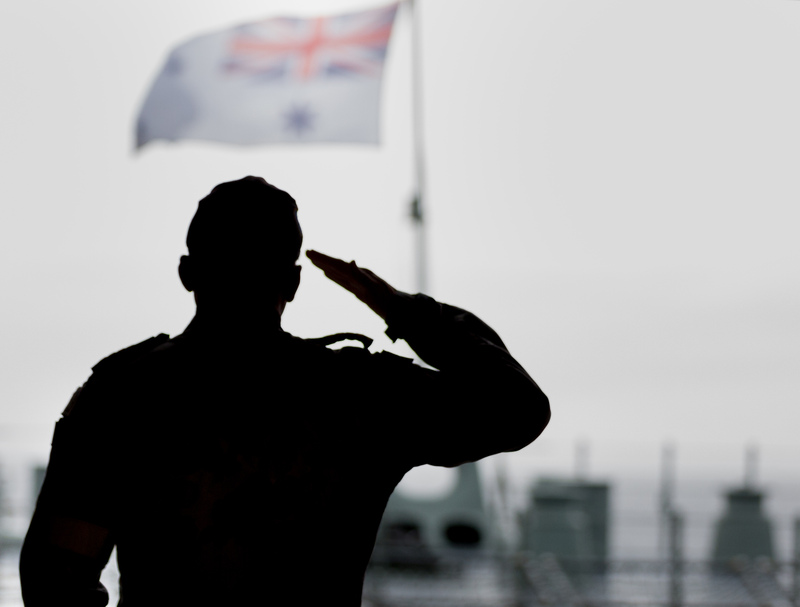 Australia is to take delivery of 12 new Offshore Patrol Vessels (OPVs) under its SEA 1180 phase 1 programme. These 1,800-ton ships will replace the existing 300t Armidale-class patrol vessels for maritime security operations and allow the RAN to send ships further from the Australian coastline. Hellyer said that as a part of its plan to increase its engagement in South East Asia and the Pacific he can envisage these OPVs being “cycled through” the Lombrum naval base with “regular visits” to establish a continuous presence in PNG. The modernized wharf and facilities should be able to support engagement like this. He added that Manus has a “good natural harbor” which means that larger warships could anchor there easily but they would not be supported by the naval base. There is little further in the public domain about what Australia plans to support in PNG and even less about the recent U.S. intentions but it unlikely to be the major naval staging point for western operations in the South China Sea that has been suggested in the media. Davis added that the naval base was just one element and the air base nearby at Momote would also need modernizing as the two installations cannot be treated separately. This is probably was spurred Australian action earlier this year engaging with the PNG government earlier this year followed by visits from Australian Defence officials in late-August. He said that runway would need to be upgraded to host larger military aircraft like fighter jets and U.S. and Australian P-8A Poseidon maritime patrol. However, China and the PNG have already agreed a $30 million deal to redevelop the airport.